Pathani Kid’s Cute ‘Peeche Dekho’ Sparked A Hilarious Meme-Fest You’ve Got To See! Babies excel in the subtle art of killing us with cuteness. Their toothy smiles and chubby cheeks are enough to make anyone go gaga over them. Case in point, the Nawab of adorableness, Taimur Ali Khan. And MS Dhoni’s cutie patootie Ziva Dhoni. 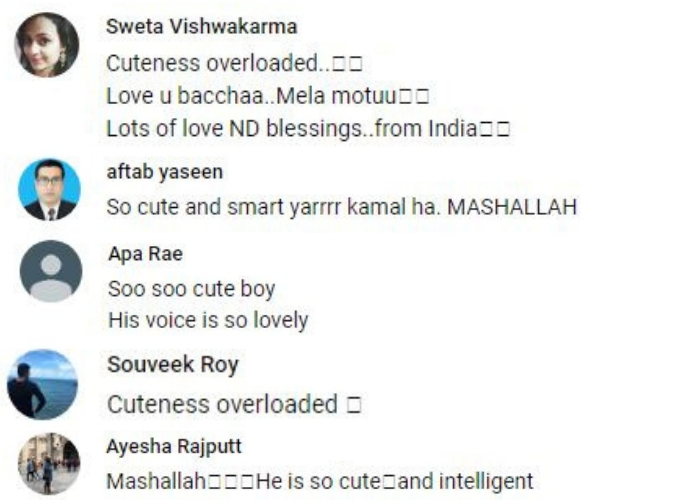 These popular toddlers now face some serious competition from a Pathani boy who has taken the internet by storm. Watch him adorably say ‘peeche dekho’ in this viral video. He is being referred to as the ‘peeche dekho boy’ and ‘pathan ka bacha’ by netizens. Some people are saying that his real name is Ahmed Shah and he lives across the border in Pakistan. Whether that’s true or not, nobody can deny his delightful charm in the video. People can’t get enough of his sweetness, his voice and traditional attire. He is now the face of several hilarious memes. Here are some of the best ones featuring the newest celebrity on the block! So, from here on out, whenever you’re having a not-so-good day at school/college or work, you can just whip out this video and watch your mood brighten up instantly. In fact, his cuteness deserves its own fandom. What would you think the fandom should be called?